Want to clear up your Facebook inbox? Here is the guide for deleting all Facebook messages at once. We'll discuss the best tweak through which you can implement to easily delete all your Facebook inbox messages instantly with just a single click. You might at one point wish to clean your entire inbox on Facebook but can't do it all at once. What if I told you a simple chrome extension can help you fix this? Here, we'll let you know how to clear all inbox junk at once. We are going to be using a chrome-app called “Message Cleaner“. 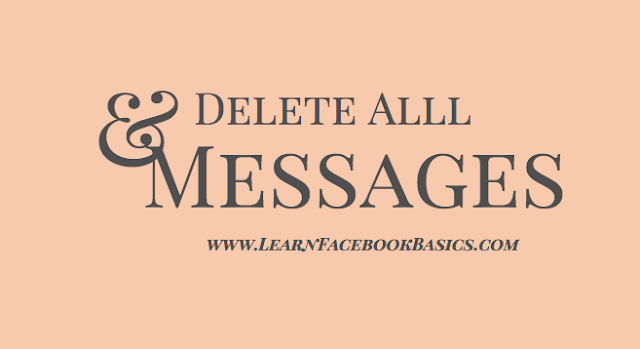 This simple tool allows clearing of all your Facebook messages by one click without having to delete one after another, It even allows to Select and Deletes multiple messages at once. Now you need to install the above extension in your Chrome browser. Once you have successfully completed the download and installation process, Then you have to just login into your facebook account in which you need to clear up all the junk inbox. Once you complete the login process all you have to do is, Just click on messages and need to tap on “see all in messenger“. Now here just tap on the Message Cleaner extension which is available at the top right corner of the browser. Just tap on it and click on “Delete All Messages“. As you can see the messages getting deleted with a few seconds. Now repeat this process until you complete deleting your inbox.